STEAM and cultural education intersect during this year’s Black History Month programming at HMCPL. “We give kids the tools, skills, and knowledge to have great potential out in the world as educated people. But many times we fall short of inspiring them to use the education they’ve attained to leave a positive and influential mark on society,” said Courtney Braggs, chairperson of the Black History Month committee. Through the “Raise the BAR (Black American Renaissance)” theme, librarians hope to promote better literacy and education for area youth through STEAM-inspired activities, in relation to African-American innovators, thought-leaders, and pioneers in history. There are numerous ways to celebrate Black History Month this February at a local branch library. Choose one or all of the following activities, and be sure to attend our Black History Month Celebration Event on Feb. 25 at the Downtown Huntsville Library. Downtown Huntsville Library, Technology and Training Center: Teens are invited to discuss diversity topics in current events with moderators from UAH. Young people often look to trusted adults to provide them guidance and clarity in life. The Black Balloon is a poem that depicts a situation in which a young boy wondered if the color of the balloon affected its ability to float away. This poem will be used to discuss how physical characteristics may or may not affect a person’s potential in life, and how stereotyping may also affect a person. This is a vivid story about a box of crayons that did not get along. At first they disliked each other, but after learning to value each other’s unique qualities, the crayons in the box began to appreciate each other as they worked together to create a beautiful picture. The colorful characters in this carefully crafted story will help promote open-mindedness and cooperation, and to dispel stereotypes about different groups of people. This poem paints a picture of how the world would be without diversity. It will be used to discuss the importance of valuing differences in people. The focus will be broad in scope—not limited to race issues. Dialogue may be expanded to include physical disabilities, learning styles, places of residence: urban, rural, and suburban, rich, poor, age, gender, religion, morals, values, traditions, and more. The man changed the bird drastically in this story. Without valuing the bird’s special qualities, the man altered the bird to what he thought would be better. This story will be used to discuss discrimination and the effect it has on those who are discriminated against. Bessie K. Russell Library: In this documentary, an African-American filmmaker attempts to end Black History Month with the argument that black history should not be constrained within a single month. Bessie K. Russell Library: Today's topic: "Is the proper term 'Black' or 'African-American?'" All are welcome to attend. Showers Center Community Room: We're showing movies celebrating Black History, all kid-appropriate. Rated PG and PG-13. Contact 256-851-7492 for titles. We will celebrate books written by African-American authors. Join us for Lottie Paris and the Best Place by Angela Johnson, Rap A Tap Tap: Here's Bojangles-Think of That by Leo & Dianne Dillon, and The Little Red Hen by Jerry Pinkney. Downtown Huntsville Library: UAH moderators host this TEDx talk video ‘The Prejudice You Don’t Know You Have’ by Havi Carel and Richard Pettigrew, with discussion to follow. Celebrate Black History Month and keep the Valentine's Day festivities going with a little help from Daniel Hale Williams, the African-American pioneering surgeon who is best remembered for performing one of the world's first successful open heart surgeries in 1893. We will take a closer look at some of the inner workings of a sheep's heart and how it compares to the human heart. 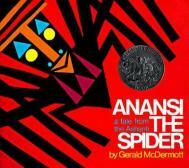 Oscar Mason Public Library: Folk tales come to life during our puppet show starring Anansi the Spider. 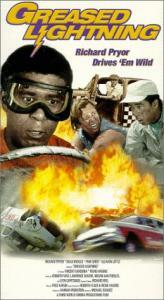 Downtown Huntsville Library: Join us for a viewing of this Richard Pryor classic. Bessie K. Russell Library: Storytime featuring the book Ada Twist, Scientist by Andrea Beaty. Triana Public Library: Explore the history of Triana before and after the rejuvenation. Madison Public Library: Rosie’s International Services invites you to join us for African dancing, rhythm, music and more. The afternoon will start with a speaker presentation by Mr. Justin McFarland of WAAYTV-31. Downtown Huntsville Library: Vendors, entertainment, food. See the full program schedule at hmcpl.org/bhm.